Are things a little too quiet at your target accounts? 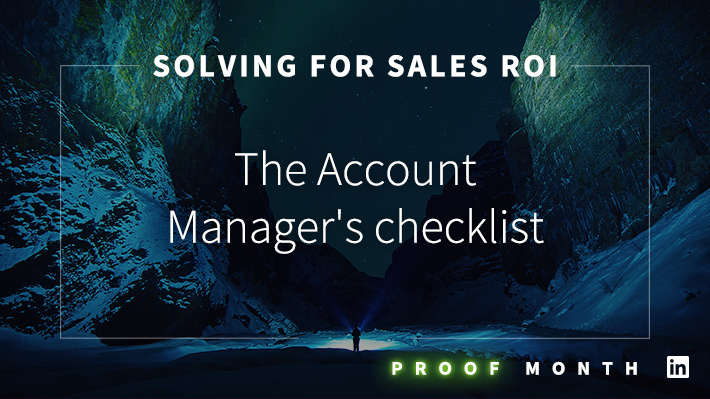 This sales ROI checklist will help your account managers perform the daily habits that deliver results. No news is good news, unless you’re a sales account manager. Sure, life is better when customers aren’t calling and emailing with complaints. But a quiet customer isn’t necessarily a happy customer, either. When you aren’t keeping in touch with the contacts at your accounts, you have no way of knowing what might be taking place behind the scenes. A lot can happen in a short period of time. Decision-makers seemingly disappear and appear out of nowhere, and the power dynamics of decision-making teams change. And while your customers may be content with the service they’re getting from your company, they might be itching to explore new frontiers to see what the competitive landscape can offer. Meanwhile, a lapse in communications can put a once-strong relationship in the cryogenic cooler. To avoid such a fate, sales account managers should seek out a routine that prioritizes process over intuition. When account managers believe in, and stick to, a process, they can feel much more confident about serving the distinct needs (told and untold) of each account. Don’t sit around and wait until the quiet before the storm. Use this sales account manager’s ROI checklist to proactively establish daily habits that make noise in the form of results. Target the right buying committee. According to the latest research, an average of 6.8 people are now involved in B2B buying decisions. These individuals can change when people take new positions, or when teams are reshuffled within your account’s organization. LinkedIn Advanced Search can help you stay on top of named accounts and identify engagement opportunities, keeping account managers attuned to changes within the buying committee and stabilizing the business relationship. Identify the most critical parties within the committee. Not all members of a buying committee have the same influence, and power dynamics are subject to change. Account managers should develop a map of each buying committee to determine which individuals are most important to communicate with regularly. By tracking these committees, you can also identify the roles and scenarios in which turnover occurs most, helping you be prepared for such events. Pay attention to trigger events. Account managers should remain vigilant for social activity that could indicate buyers are ready to make a change. Promotions, leadership changes, company news, mergers, news mentions, and other activity could all serve as potential triggers for new purchases, and managers should contact the buying committee to be front-and-center when they are ready to evaluate new options. Account managers should also follow each account’s LinkedIn Company Page, blog, and other social channels. 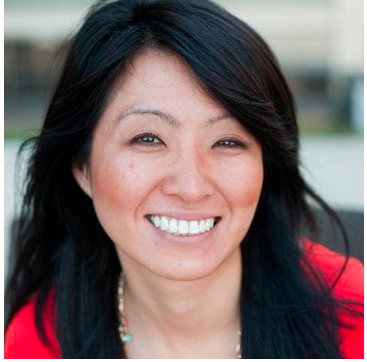 If key contacts are active on relevant social channels, follow them, too. Blog content and other social activity can be leveraged as their own sort of trigger event. While this activity doesn’t necessarily have the same correlation to business decision-making and new opportunities, this content could provide a valuable stepping stone to conversations that lead to new business. Have two-way conversations. Account managers can’t run the risk of focusing too hard on sales and their own interests. When communicating with buying committees, take time to have meaningful two-way conversations that seek to learn more about the account’s evolving needs and goals. Engage thoughtfully by leveraging existing knowledge and relationships to gain a deeper understanding of your relationship as a vendor. While it’s easy to standardize your routine for checking in with accounts and tracking their activity, engagement needs to be tailored specifically to the accounts and contacts you’re trying to engage. Your conversations and the content you share should both be tailored to their needs and challenges. Aim to have these conversations with the account’s most influential decision-makers (which isn’t always the person with the most impressive title), giving you better influence and a better understanding of what matters most in maintaining and expanding the client’s business. Sales account managers don’t have the luxury of standing pat. Even when business is good, there’s always more that can be done to strengthen relationships and cement your own company as a trusted partner. By strategically monitoring your accounts and consistently engaging key contacts with value-laden communication, you’ll do less wondering as to whether silence is good or bad, and more knowing that you understand and engage the right people in a way that consistently merits a response. Proving sales effectiveness doesn’t need to be an ominous journey. Find enlightenment with our new eBook, Proof Positive: How to Easily Measure and Maximize Sales ROI.